Eve Systems announced that the Eve Light Strip, and the Eve Energy Strip, will be at CES 2019. Both are part of Eve’s growing ecosystem of connected accessories designed exclusively for the HomeKit-enabled household. The Eve Light Strip is the brightest HomeKit-enabled LED strip to date. With up to 1,800 lumens and premium triple-diode architecture for full-spectrum white and millions of colors, Eve Light Strip is perfect for accent lighting as well as general lighting purposes. The 6.6 ft strip can be cut at 1 ft intervals to accommodate smaller fittings and fixtures, such as picture frames and cabinets, or extended up to 32.8 ft to adorn stairways and suspended ceilings, flooding entire spaces with shadow-free light. By combining HomeKit technology with Wi-Fi networking, Eve Light Strip eliminates the need for a bridge and makes installation and automation a breeze. Eve Light Strip will be available online from Eve Store and Apple for USD $79.95 starting February 2019. 6.6 ft extension strips will be available online for USD $49.95. 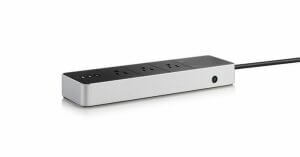 The Eve Energy Strip is a triple outlet with HomeKit technology, autonomous schedules, power consumption monitoring, and advanced safety features. Eve Energy Strip sports elegant black housing enveloped in an aluminum frame for a solid, sturdy feel. 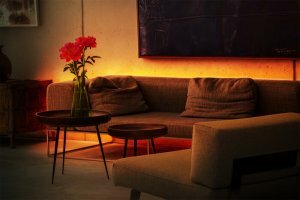 Paired with Siri, Apple Home, and the Eve app, it is the perfect companion to control, automate and safeguard high-end appliances, treasured home cinema components, and critical computer gear. Thanks to sophisticated protection mechanisms against power surges, over voltage, and over current, connected devices are immune to virtually any electrical faults. Eve Energy Strip will be available for USD $199 starting March 2019. Visit Eve at CES 2019 at Venetian Tower, Hospitality – VEN 35-116.